I am thrilled to be taking part in my first blog tour! And what a great book to start off with, too. A Worthy Legacy is the story of Tomi and her grandfather, who is dying of a long-term illness. Tomi’s father calls her at work and tells her that her grandfather wants everyone to come to the village now. She drops what she is doing and goes. The entire family is there and her grandfather shares his last words of wisdom with those he loves the most. Tomi also shares about the secret journal that she shared with her grandfather that made a lasting impression on her. For my review click here. Tomi took some time to answer a few questions for me. 1. It is evident from your book that you and your grandfather were very close. How much did he influence your decision to write and what you write? 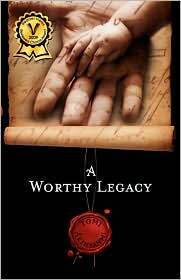 Actually, A Worthy Legacy was written for my dad. He is the grandfather featured in the book and yes we were close. Now to the questions: With regards to A Worthy Legacy, it was written after dad’s death hence he had no influence on its writing. However, the words of A Worthy Legacy come from my notes over the years of things I have learnt from him. In reference to my other works, I wrote about a secret journal in A Worthy Legacy. This is a journal of my other writings that I shared with dad. Whether I wrote a poem or I was writing a story, Dad asked thought provoking questions that stimulated my thinking irrespective of the topic I had chosen to write about. The questions were not in themselves meant to influence my writing pattern. They asked the why, where, how, helping me develop the plot of my story. Much like an artist would talk about perspective; the questions helped me identify the perspective of my writings. They helped me think about what I needed to say and how to say it. 2. I read that you write poetry, I noticed that some parts of “A Worthy Legacy” were written as poetry, was this how your grandfather spoke them or is your interpretation of his words? As dad’s original words were spoken in my native language, a direct translation to English for all aspects of the book is simply impossible. For this reason, I’d say the writing is a mixture of what he said and my interpretations of them. In explaining some things better, dad had given examples in Yoruba Proverbs and Adages which in themselves are poetry in form. 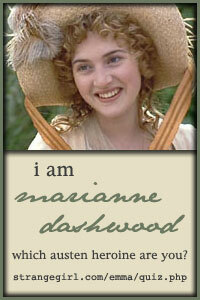 The idea of using poetry in A Worthy Legacy originated from this. Also, since poetry is my first love, it was an easier move for me to use a form I am very familiar with. Thanks for participating my blog tour. Post any questions you may have for Tomi in the comments section. Posted by Belleza on July 11, 2009 in Uncategorized and tagged Blog Tour. Thanks for the interview – it’s always interesting to get a little background information about books. I’ve heard a lot of good things about this book. I didn’t know it was about her dad. I keep seeing “grandfather” everywhere. I’ve heard a lot of good things about this book.